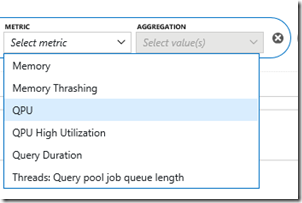 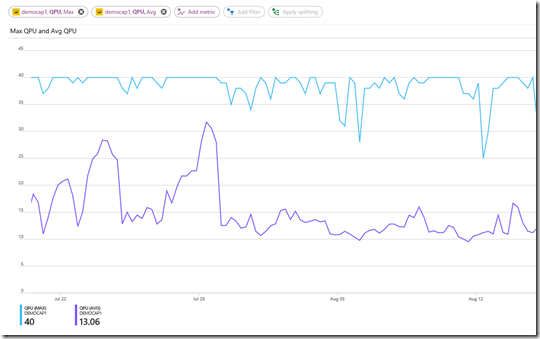 A new Query Processing Units (QPU) metric has been added to Azure resource monitoring in Power BI Embedded. 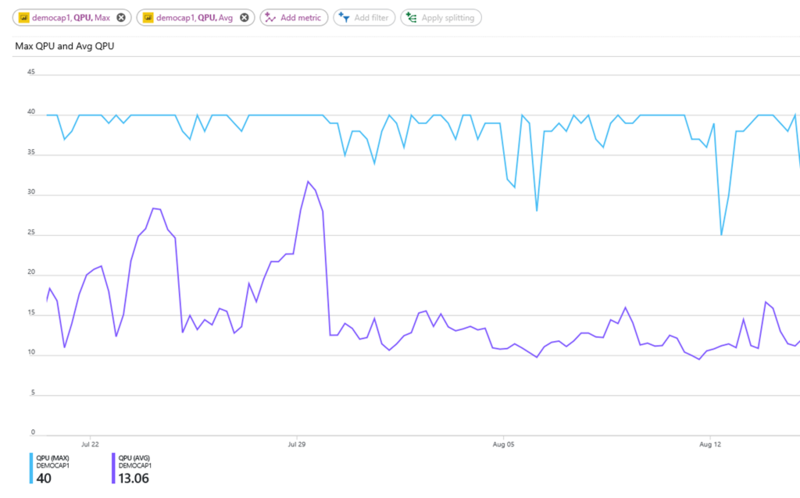 The QPU metric monitors the compute load on your capacity at a particular moment, showing you the raw metric in percentage relative to the SKU of the resource. 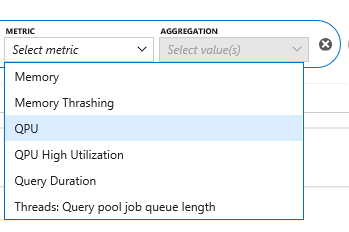 Because the capacity is composed of v-cores that holds a certain amount of compute power and memory, you now have a direct way to monitor the exact load on your capacity with different aggregations (see the example in the following image), define thresholds, and set up alerts on top of it.